Finally, my husband achieved his target weight after 4 months of a keto diet. It was 122 kg and now its 95 kg. He is still on a keto diet but he increased his carbs from 20gm to 30 gm. Keto pizza is one of his favorite thing to eat. I made cauliflower pizza crust and it was so bad in taste that I had to throw the whole pizza away. 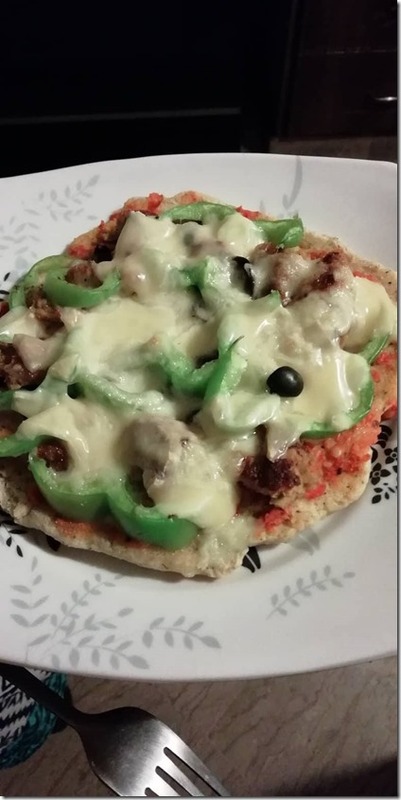 The following recipe makes the best keto pizza crust and you can add whatever toppings you like with lots of cheese. This crust is crispy and cheesy. 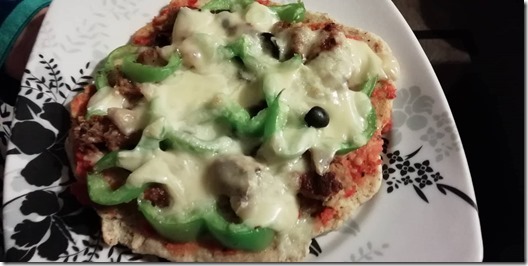 This recipe makes a small pizza. Each slice of pizza contains 335 cal, 27g fats, 3.2 gm net carbs, 18.2 gm protein. Microwave mozzarella cheese until completely melted, then add all other base ingredients (except olive oil) and mix together. Knead dough into a ball, then spread out into a circle using the olive oil on the outside of the dough. Bake crust for 10 minutes under 400F. Remove from oven, flip, and bake for 2-4 more minutes. Top the crust with toppings of your choice and bake for another 3-5 minutes. Let cool slightly, slice, and serve! Where do you buy psyllium husk , coconut flour and almond flour in Riyadh?